If you love to read, do you know when reading becomes more than just a pastime or hobby? Has your reading crossed the line into addiction? Here are steps to assess this and also to help you cope with your reading addiction. Answer these questions to see if you are addicted to reading. Have you tried unsuccessfully to cut back on your reading? Are you preoccupied with thoughts of the book when you are away from it? Does reading help you escape from your problems? These are similar to questions used in surveys by the American Psychological Association to determine internet addiction and gambling addiction. Addicted to reading? Here’s a stack of books for you. Actually, being a book addict isn’t the worst thing in the world. I, personally, would like to see more “book addicts”. Wouldn’t you rather have addictive personalities turned onto reading rather than to drugs? Just imagine, if teenagers after school couldn’t wait to get a book instead of seeking out their local drug dealer. If they were reading addicts, few people would try to change their behavior or ask them to get therapy. Reading, even in large amounts, is generally viewed as a positive activity. Everyone would admire such a wide background gained through reading. At what point does an addiction become a problem? When an addiction disrupts a relationship or leads people to commit illegal acts or to spend too much money, then it definitely is a social problem. Some people try to hide their addictions. They realize their behavior, whether it is excessive drinking or drug use, is not socially acceptable. Addictions are a problem if they affect your health or keep you from performing your job. Here’s a self-test to take: Make a list of problems associated with your reading. Do you still recognize your family members when you pull yourself out of a book? Have you gone into debt buying books? Does it make you anxious when you don’t have an unread book on hand? Do you sneak out of work to visit a bookstore or library, just so you can be surrounded by books? How many book groups do you belong to? Do you resist switching to an e-reader because you crave the smell of paper as you read? I probably would be classified as a binge reader. Sometimes I go weeks without reading, while at other times I devour several books in a row. I might read late into the night, not able to put the book down until the very end. I know I’ll be sorry in the morning when it is hard to get out of bed. A novel is sometimes so compelling that I just can’t tear myself away. Reading a really good book creates the desire to read more. How would you classify your reading? Can you stop if you want to? Is it just social reading so you can discuss the book with friends and the book club? Is it compulsive reading that you can’t stop doing? Do you escape into a book then have a hard time coming back to the real world? Is it hard for you to go to sleep at night if you don’t read for a while first? I hope therapists never label it as a psychological disorder. Libraries would become those dens of iniquity where the reading addicts get their fix. Librarians would face prison terms for providing books to addicts. Books would carry labels warning “CAUTION: this book could lead to addictive reading”. Maybe a ten-step program could be developed. People would attend the weekly meetings, stand up and say, “My name is ___, and I am a compulsive reader.” When they felt the urge to read, they could call another member who would help talk them out of it. Until that time, enjoy reading as much as you want. Try setting a timer when you start to read. Force yourself to put the book down and spend an equal amount of time with the family. Consider dropping subscriptions to book-of-the-month clubs. Get library cards instead at all the libraries within a 50-mile radius. Addiction to books and reading can start at a very early age. Be alert for signs of it in your toddler and young children. Write book reviews for Amazon or other sites. It serves as a way to keep track of your reading. Also when you reach Top 100 Reviewer status, authors will send you free books to read and review. Family and friends may accept your excessive reading as it has a purpose (beyond entertaining yourself). Reading to children is so important. Not only does it allow you to bond with the child, but it teaches them how to pronounce words and expand their vocabulary. They will also learn how to read and to spell words as they get old enough to follow the text on the page as the story unfolds. My mother read to us often when were quite young, and I grew up loving words and loving books. All my siblings did as well and became lifelong readers. It’s a tradition passed down through generations. 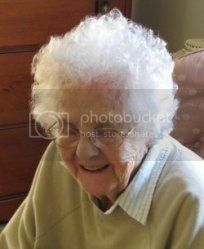 My mom (Gail Lee Martin) remembered her parents reading aloud to her and her sister after dinner. They gathered around the table with an oil lamp in the center to listen to the stories. Today’s world is a bit different, and books are now available on reading devices, and when you’re traveling, these are awesome. You can bring your child’s favorite books along with you without having to pack bulky, heavy paperback and hardcover books. The Kindle and other reading devices are ingenious! Take it with you anywhere you have to wait, like the doctor’s office. Read to your children today and every day! 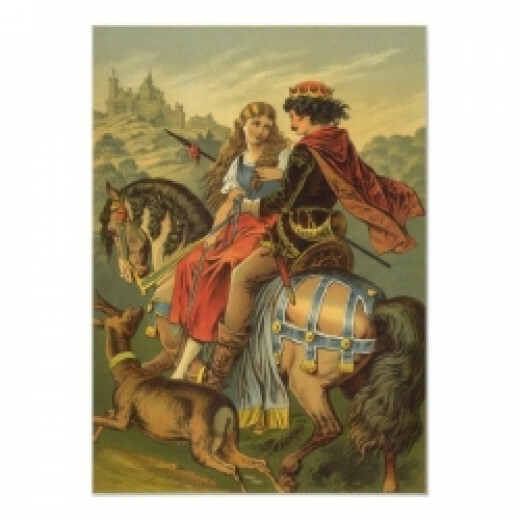 This poster is from Zazzle Vintage Fairy Tale by YesterdayCafe. 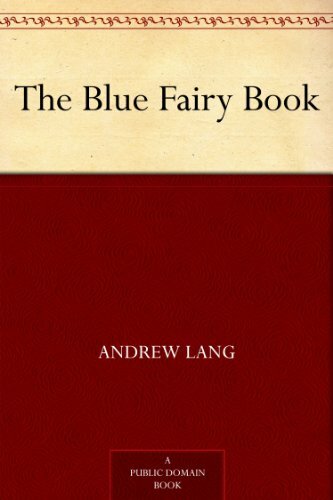 Fairy tales from around the world thrill a child with new adventures and exotic locales. 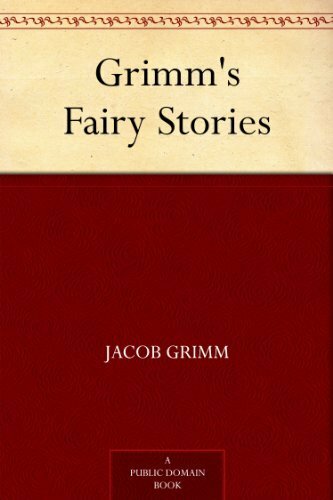 Best of all these vintage tales are free for download on the Kindle. 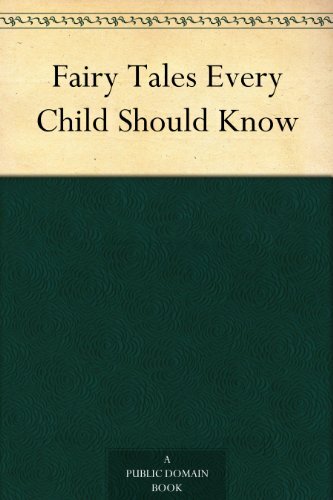 Below are the links to get these fairy tale books from Amazon. Check the price to be sure it hasn’t changed, then click to BUY the book for $0.00. Amazon will send you an e-mail confirmation that you have bought the book for free. It’s easy and you’ll have new stories to read your child each day. Reading to your children will help their imagination to blossom as they create characters in their heads that go along with the stories. Most of these lack illustrations. Generally, the illustrated versions for Kindle cost 99 cents or higher. The month of May is Get Caught Reading Month so let’s all participate by reading a good book and by encouraging our children to read as well. I remember Mom using this funny, old-fashioned saying a number of times. I’ll bet it goes back to Grandma Ruth and even earlier. Slower than molasses in January – When it was cold, molasses congealed enough to be hard to pour. This phrase was used to prod a kid who was dragging their feet about completing a chore or was slow getting ready for school in the morning. Hold your horses – Don’t be in such a big hurry. Wait a minute. Burning a hole in your pocket – Mom said this to a kid who couldn’t wait to spend money. Maybe it was money received as a gift or it was our cash prizes from the county fair. Don’t spend it all in the same place – This was said when someone gave you money. The intent was to stretch it. It could also be a joke, particularly when it was a very small amount of money. A lick and a promise – This meant to do a chore in a slapdash way or to tidy up quickly. The promise part was to do a better job later. Tell me about some colorful sayings that your family used. Are the ones above familiar to you? The Martins and McGhees used a website called My Family to keep in touch with all the cousins. They could post photos or chat. The site closed down a few years ago. It was great for such discussions as this one on the effect of the moon in inspiring cleaning and organizing. Cindy (Gail’s daughter) – Larry & I are working on revamping the office. I’m cleaning out the closet, restacking books, moving pictures around on the walls, removed the clutter off the headboard of our bed. Let’s hear from others to see if they are cleaning as well. Karen (another of Gail’s daughters) – Wow, it must be the moon! I woke up today just raring to tackle house clutter! (It doesn’t happen often, in my case.) Nice to have the urge coincide with a day off, especially a day off that I’m not sick! CJ (Gail’s sister) – I’m in awe of you guys. Haven’t seen the moon for so long, not sure what it could be inspiring me to do. Gail Martin – Oh yes, it was the last quarter before the full moon and I talked to Susan the night before and she was cleaning her kitchen cabinets. While I spent most of that week cleaning out unnecessary emails and saving some to my back-up. CJ, you don’t have to see the dang moon, just go with the flow and besides you were getting your meds organized, so yes, it was affecting you too. Cindy (Feb. 1) – Wish that cleaning urge had stayed around long enough for me to have completed all my projects…..
Gail Martin – It never does. One week a month just gets you started, then a month later you have a whole month’s more stuff to work with! So, what does it mean? I know Mom and Dad used the Farmer’s Almanac to plant their garden by the “right sign of the moon.” When I researched online, I found articles about How the Moon Cycles Affect Us. Apparently, it is the waning moon that inspires decluttering and wrapping up projects. So, after a full moon, take advantage of the waning moon to tackle clearing out clutter or organizing at work or at home.